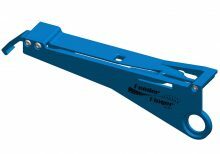 The EF08HSR Feeder Finger is distributed exclusively by Juki Automation Systems, Inc. 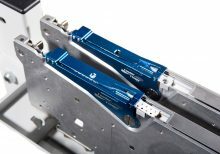 Contact your Juki representative for more information. 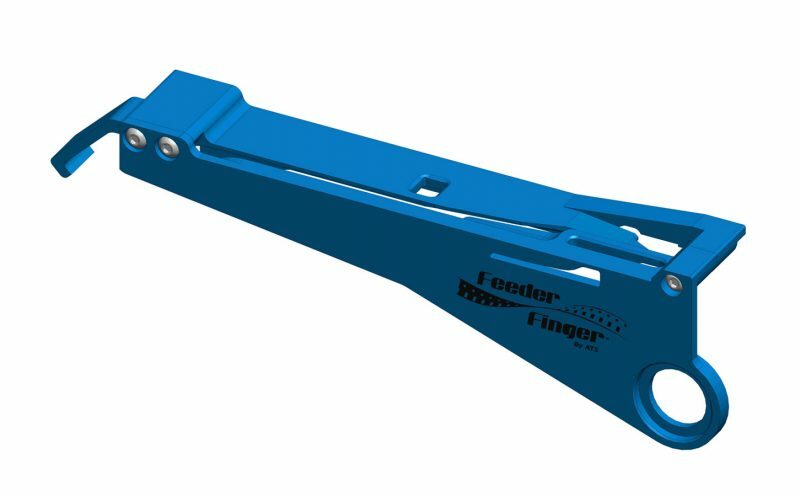 The EF Feeder Finger Solution was designed in conjunction with Juki Automation Systems to work with the EF08HSR electronic feeder (black handle) The Feeder Finger coupled with the EF08HSR feeder adds patented features and benefits that enhance machine utilization and throughput by reducing feeder preparation time by as much as 50%. 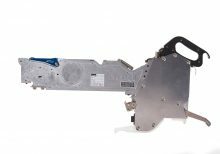 An unskilled operator can load tape strips as short as three inches or a full reel without a cover tape leader or tape splicing. The cover tape collection process and cover tape feeder jams are eliminated. 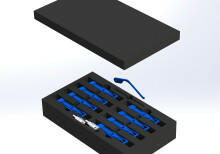 The operator merely pushes the component tape into the feeder and places it onto the pick and place or feeder cart.